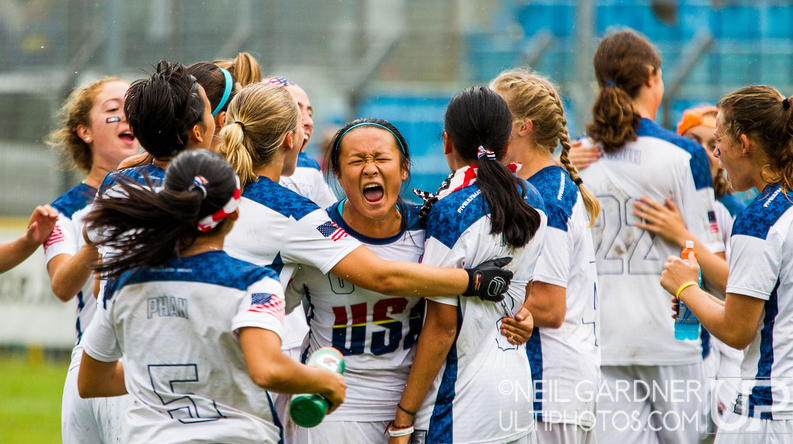 This week’s #TBT highlights Junior Worlds to spread the word to young women to apply for THIS YEAR’S US U20 Team! We did this throwback last year, but we’re running it back again with a refresh in an effort to get more girls to apply. 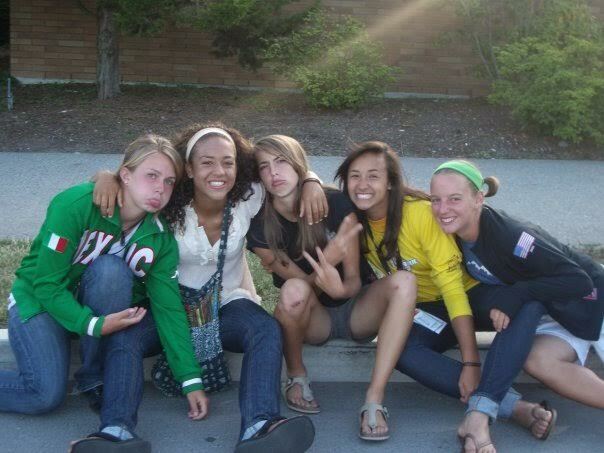 Brute Squad currently has 8 players who had the chance to play on the US U20 team as youth girls. These young Brutes were highschool rivals from Amherst and Paideia High School who put on the same oosa jersey for once, and brought home gold, silver and bronze medals together. 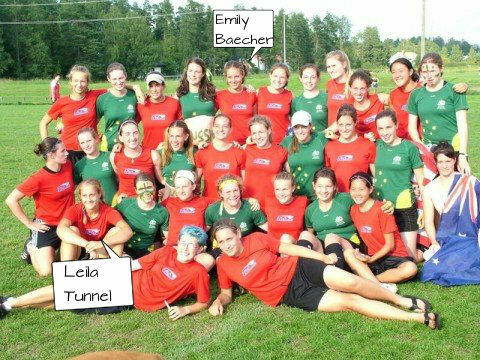 They competed in Finland, Germany, Canada, Italy, Ireland and yes, even scenic Fort Devens, Massachusetts against teams from around the world. Fun fact – 7 of those 8 Brutes are handlers now, but many were cutters back in the day! So, Jr Worlds might turn you into a handler. Oops. 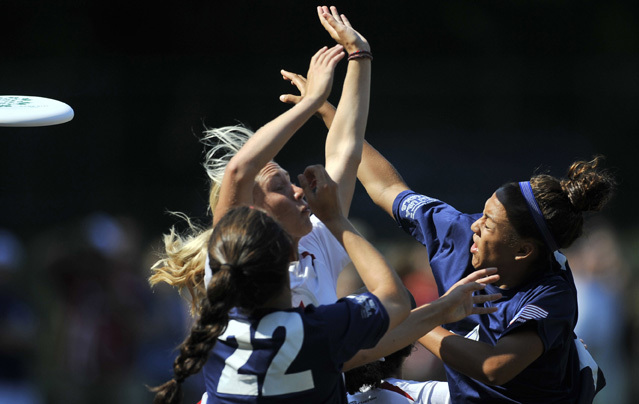 Playing with the U20 team offers teen girls a chance to represent the US and compete at an international tournament, develop lasting friendships and connect with players from different countries. 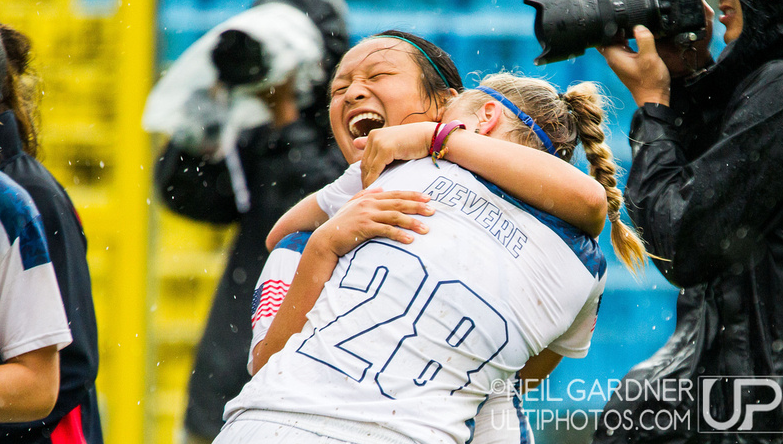 Even just trying out for the US U20 team offers girls a great opportunity to learn from top players, experienced coaches, and find ways to elevate their game. 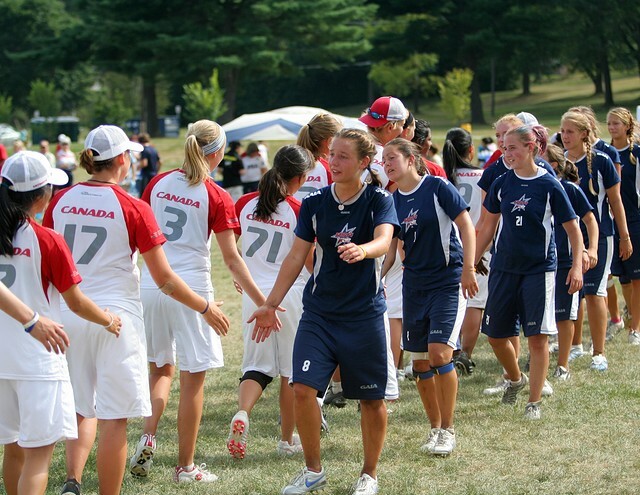 Applications are now open for the girls and boys USA U20 Worlds squads – deadline is October 12. Don’t miss your chance to tryout! Spread the word to youth players to apply here! 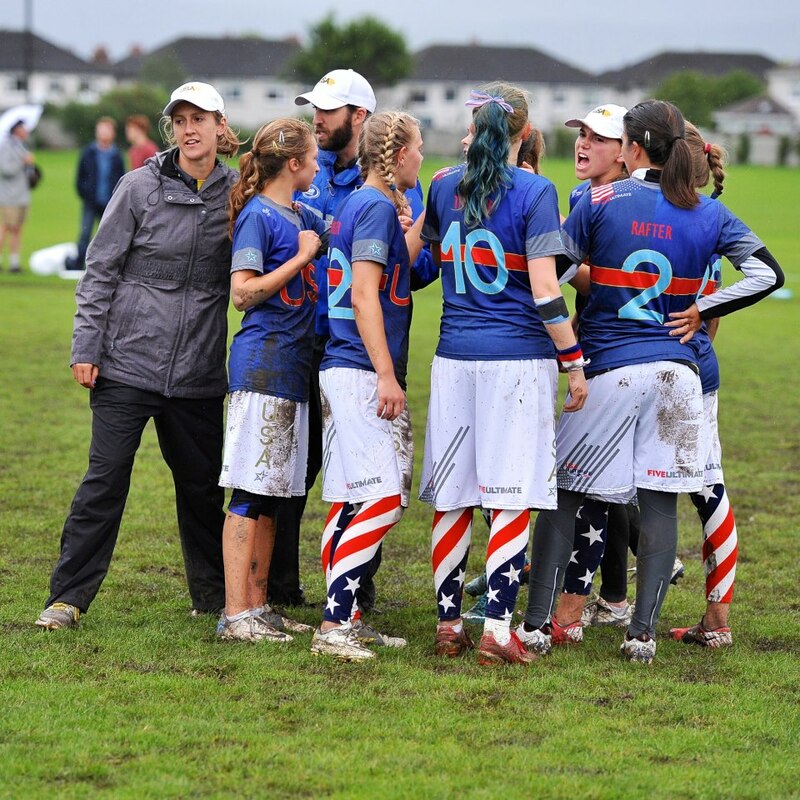 And now, here are some #TBT photos and snippets from Brute players Worlds applications and recommendations from their coaches! Emily Baecher #23 and Leila Tunnell #18 rep the USA! 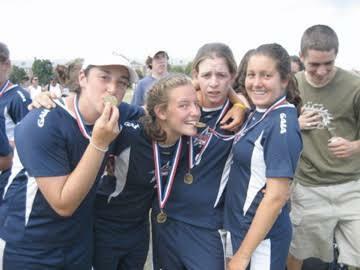 2006: Fort Devens, Massachusetts Gold Medals!! 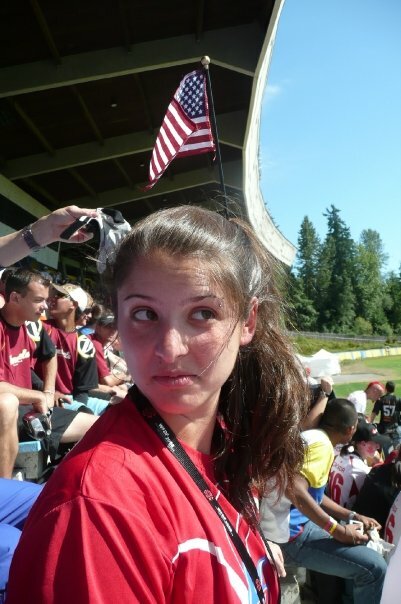 “In those seemingly endless points, I see what I am really made of; can I dig in while my legs are screaming at me to stop and get that D?” – From Amber Sinicrope #10’s U20 application. 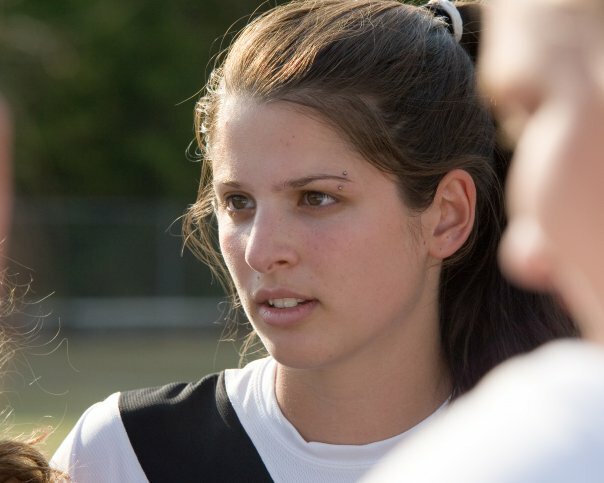 “There is no other sport that gives me the feeling of accomplishment and success, like a moment after laying out and D-ing an opponent.” – From Chelsea Murphy #21’s U20 application. 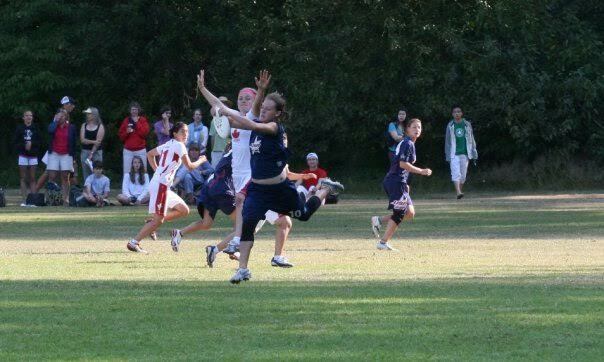 Dory Ziperstein #12 and Leila Tunnell #18 do the worm during opening ceremonies! “At first, I was taken back, more confused if I wanted to give up my jersey, but then I couldn’t think of a better person to have my jersey. We both took our sweaty, dirty, jerseys off”our backs and gave them to each other. 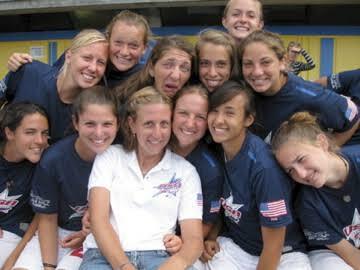 Every time I look at her jersey, it not only reminds me of that game, but of her as a player, and how much I liked guarding and playing against a good player that I admire on the field.” – From Dory Ziperstein #12’s U20 application. 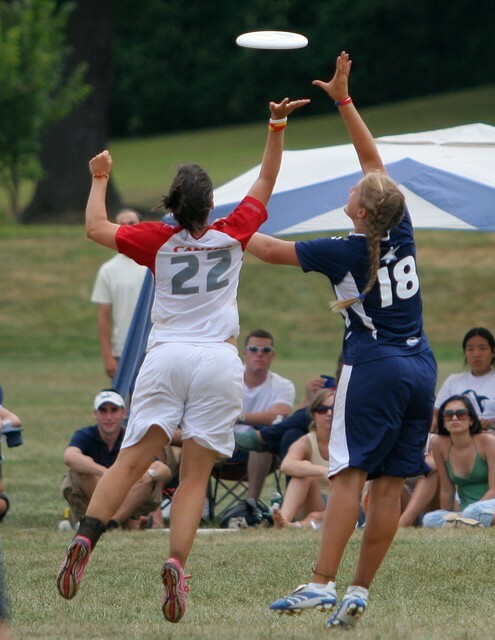 “I play ultimate because it is unlike, and makes me more happy than any other sport I’ve ever played.” – From Leila Tunnell #18’s U20 application. 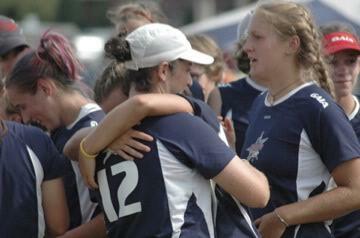 Celebrating after an EPIC 30 minute long double game point to clinch the win against Canada in finals. 2008: Vancouver, Canada. USA Takes 3rd on double game point vs. Colombia! “Paula is a competitor. 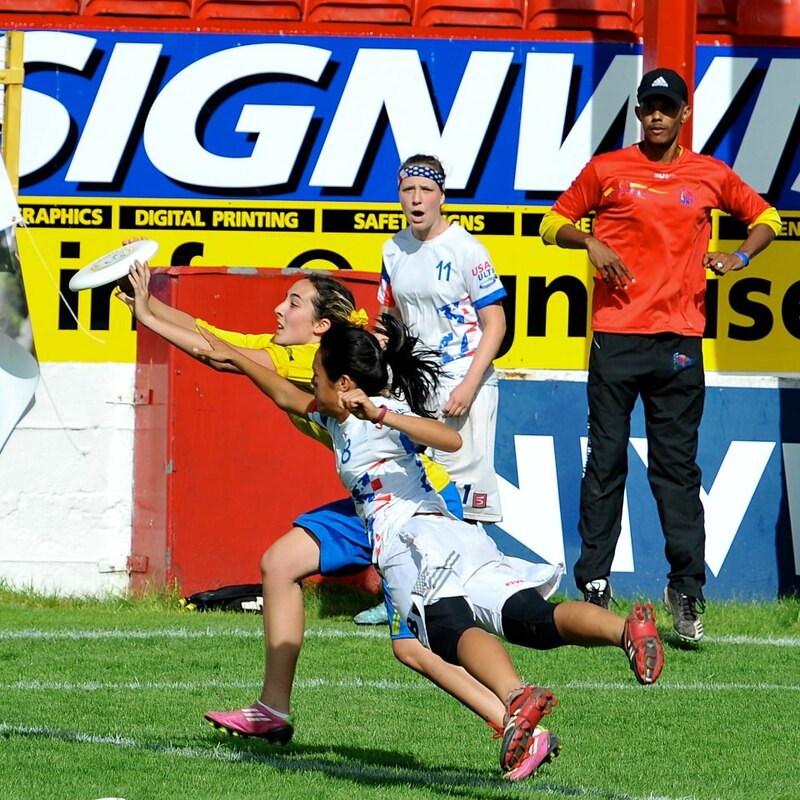 She is stoic on the field, but as soon as the game ends she is very friendly.” – From Paula Seville #14’s coach recommendation for the U20 Team. 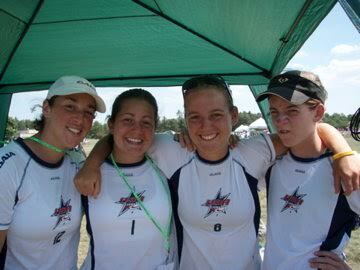 Amber and Claudia in 2008 with teammates! 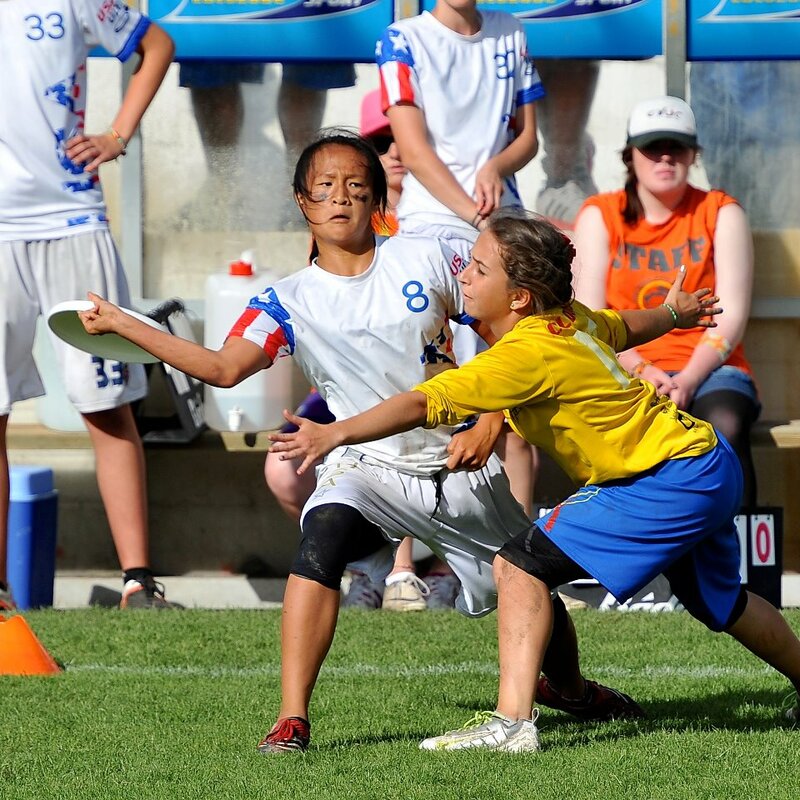 “I play Ultimate because of the raw intensity it provokes, the accepting community unlike any other, and the real honesty and sportsmanship involved.” – From Claudia Tajima #6’s U20 application. 2010: Heilbronn, Germany. USA Takes 3rd over Australia. “Claudia is a determined but gracious competitor and has always respected her teammates, her opponents, and the Spirit of the Game.” From Claudia Tajima #6’s coach recommendation for the U20 Team. 2012 Dublin, Ireland. USA Takes 2nd to Colombia in finals. Angela Zhu #17 is FIRED UP during finals. 2016: Wroclaw, Poland: Apply today!